Earlier this week, we took a look at the many costs and expenses associated with sustaining a serious injury in Hollywood or South Florida. In addition to the medication, medical services, medical devices, at-home care, hospital stays, and surgery costs that we have already discussed, there are additional, long-term expenses that injured patients often face. Follow-up care. If you’ve suffered a permanent or long-term injury, you may need months or years of follow-up care. You may need to visit doctors and specialists more often and these appointments can end up costing you many thousands of dollars. Property related costs. In your collision, you may have damaged your car, mobile devices, and other property. In addition, you may need to update your home or vehicle in order to make it accessible if you have been permanently injured and your mobility is affected. 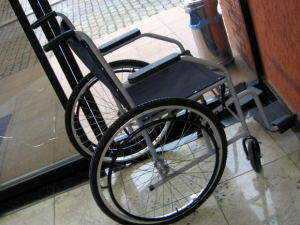 Just making a home accessible for someone using a wheelchair can cost tens of thousands of dollars or more than $100,000. If you need to make changes to your car, you may need to pay not only for the changes but also for driving lessons to learn how to drive with your current level of mobility. Incidental costs. There are many incidental costs involved in any injury. For example, you may not be able to drive for some time and may need to hire taxis to get to and from doctors’ appointments. You may have to pay for consulting services to have your car made accessible to you. All of these costs can add up. Lost income. You may lose time at work because of your injury, and this can end up costing tens of thousands of dollars or even more. If you are permanently injured and are relatively young, you may look lose more than a million dollars in future lost income opportunities, including the increases in income you might have enjoyed from promotions and new opportunities. Intangibles. Have you suffered loss of companionship, loss of quality of life, or other intangible losses? Hollywood injury attorneys will generally work to find a dollar figure that can help address these issues as well. Increased medical costs. If you been seriously injured you can expect to pay more for medical insurance and if you’re no longer able to work you may need to pay for private insurance, which will also increase your costs. You may also face a lifetime of increased medical expenses, especially if you suffer from any complications related to your injuries. The trouble with many of these costs is that insurance companies may not consider these incidental or additional costs when offering you an initial settlement amount. This is one reason why some injured patients who accept insurance money right away find that their insurance money runs out before their medical expenses do. The reality is that a serious, permanent injury can end up affecting your finances for the rest of your life. When evaluating settlement or insurance offers, it is essential to carefully consider the long-term costs and the likely total costs of your injury. To determine exactly how much your injuries may end up costing you and how much compensation you should seek, contact Flaxman Law Group to arrange for a free, no obligation case review.